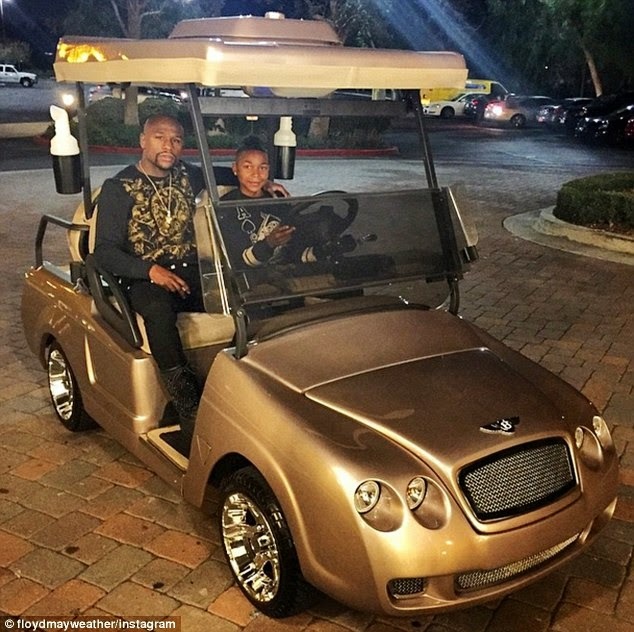 Not known for his modesty, five-division world champion Floyd Mayweather has posted a video on the internet flaunting his wealth. 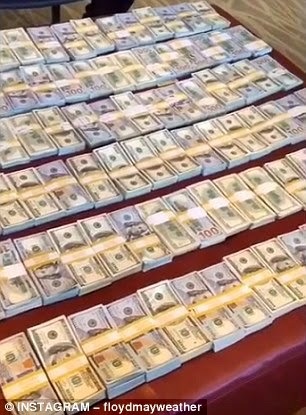 The short clip, which was uploaded to his Instagram account, shows piles of $100 bills covering a table in the centre of the room. 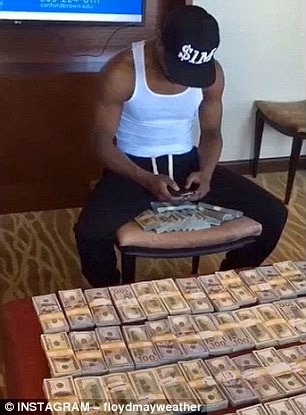 The undefeated champion, meanwhile, can be seen sitting back playing with his phone while wearing a cap that says '$1m'. Mayweather was recently revealed to be the highest paid athlete in the world on the latest Forbes list. Earning over £66m last year, Mayweather beat stars such as Cristiano Ronaldo (£50m) and LeBron James (£45m) to top the list. Even more remarkably, the American boxer earned that sum from just two fights and no endorsements. 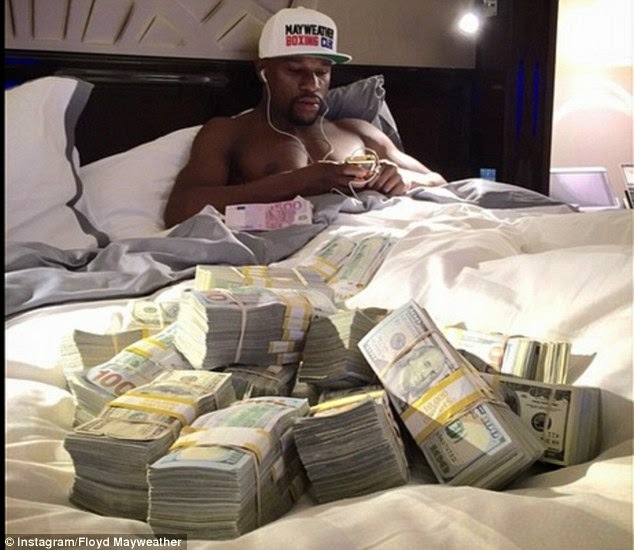 Mayweather was the only representative of his profession in the top 10 and the only member of the list to have received the entirety of his earnings from his winnings and non-sponsorship salary. It is approximately the 842nd time he has posted a picture of cash on Instagram (OK, maybe a bit of exaggeration).